His-Cul Ethiopia Tour Operator has one of the largest selections of Addis Ababa city tours to discover Addis Ababa from a new perspective. Pick one of our Addis Ababa tours today. The most important points of interest in Addis Ababa include museums, cultural restaurants, monuments and statues, historical churches, art galleries, traditional market places, the landscape at the outskirts of the city, the lifestyle of the people in Addis Ababa, the lion zoo, Mt. Entoto to admire the best view over the city, ancient buildings that have colonial influences, and more. 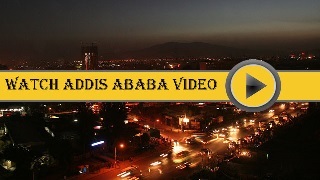 Addis Ababa: In November 1886, the present capital of Ethiopia Addis Ababa was born. The prime mover of this event was Empress Taitu, Menilek’s wife, who coined the name and took the first significant step in the establishment of the city. The founding of Addis Ababa brought to an end the tradition of moving capitals practiced by Menilek in his early years as negus of Shawa. Three factors contributed to the consolidation of Addis Ababa as a capital. The introduction of Eucalyptus tree solved the shortage of wood and thus checked the planned transfer of the capital to Addis Alam. The granting of land charters in 1907 gave landlords security of tenure. Finally, the arrival of the railway in Addis Ababa in 1917 assured the commercial centrality of the capital. The railway had considerable significance for urban development in Ethiopia as a whole. For along it emerged such important towns as Dire Dawa and Nazret. Addis Ababa is a vibrant urban center. It has a feature unique to our city. Few cities in the world boast our concentrations of diverse cultures, festivals and businesses offering widely satisfying opportunities for international adventure. The vibrancy of Addis Ababa extends well beyond downtown. The area is home to some of Addis Ababa’s biggest attractions: Mount Entoto, Mercato (the biggest open air market in Africa), the Guido Cave, Bole Airport Area where it further defines itself with world-class cuisine and the warmth of the locals. Location : Addis Ababa is located at an average altitude of 2400m above sea level which makes it one of the three highest cities in the world. Museums : The Ethnographic Museum (contained artifacts and daily objects of the different nations and nationalities of Ethiopia, Ethiopian musical instruments, Ethiopian crosses, icons dated back to the Middle Ages and more), the National Museum (one of the best museums in the continent--housed Lucy, the oldest fossil remains of early human ancestor, artifacts dating to the pre-Axumite period and more) and the St. George Museum are some of the most important museums we have in downtown in Addis. Beautiful View : At Mt. 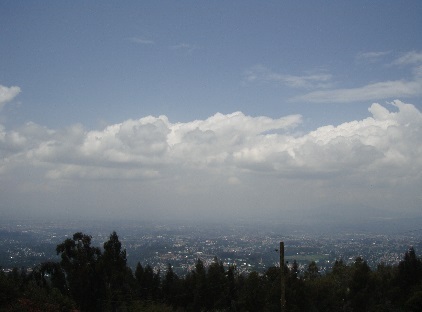 Entoto, one can have a chance to obtain spectacular view of Addis and see some historic churches in connection to the establishment of Addis. Monuments and Statues : Most of the monuments and statues we have here in Addis were built in memory of Ethiopian patriots who lost their lives in fighting against colonization. Shopping : Addis Ababa’s most important shopping districts for tourists are concentrated around Churchill Road where one can find traditional clothes, artifacts and more souvenir items. 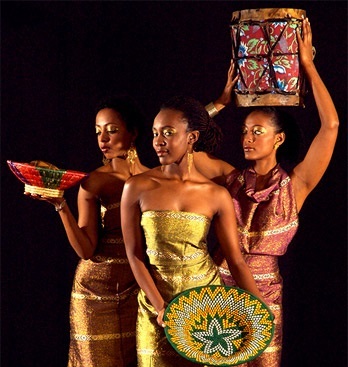 Other Attractions : Historical churches, Ethiopian cultural restaurants with live dance, Ethiopian contemporary art galleries (with prior arrangement), places that have pronouncedly Italian character, head quarters of international organizations such as but not limited to the AU and the United Nations Economic Commission for Africa. In half a day city tour of Addis, one can see the Ethnographic Museum at the Institute of Ethiopian Studies at Addis Ababa University, the National Museum (The Natural History Museum), monuments and statues that have great historical significance. A full-day city tour of Addis includes, the Ethnographic Museum at the Institute of Ethiopian Studies at Addis Ababa University, the National Museum (The Natural History Museum), the Holy Trinity Cathedral Church, the stupendous view over the city, forests and breathtaking air with air filled with the scent of the Eucalyptus trees around Mount Entoto, and monuments and statues that have great historical significance.